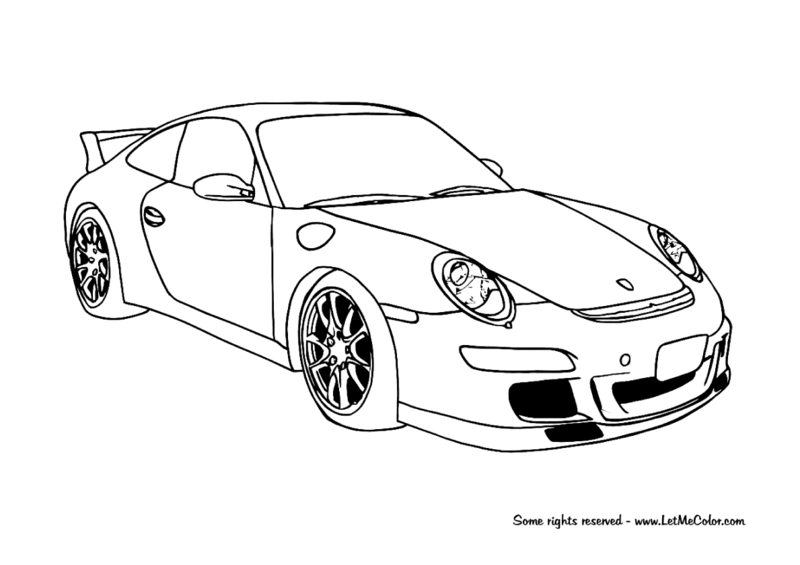 Free printable coloring page of a Porsche 911 GT3 supercar. Top speed: 193 mph (311 km/h), 0-60 mph (97 km/h): 4.1 s, Base Price: $107,500, (source: Wikipedia). Some rights reserved (Creative Commons). This coloring page is created by Frank De Kleine. Original photo by IFCAR.